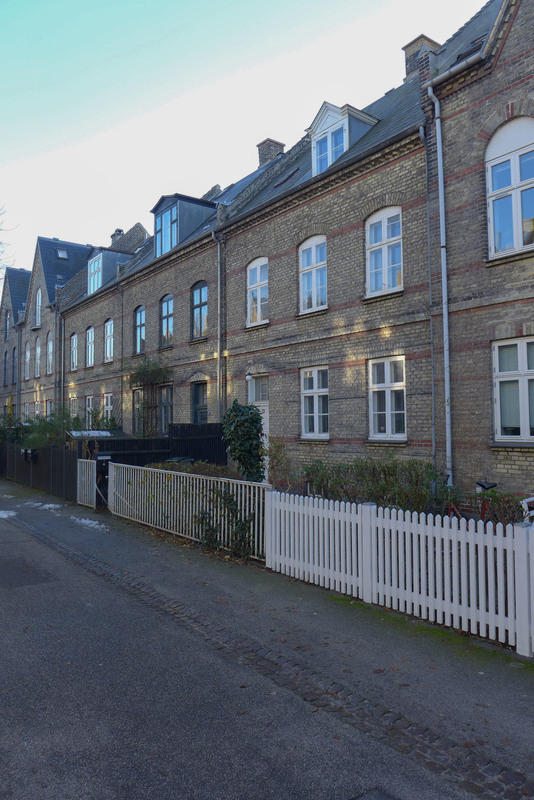 There are 480 houses in relatively short and continuous terraces along eleven streets between Øster Farimagsgade and Øster Søgade which, as its name implies, runs along the shore of the lake Sortedams Sø. The houses are popularly known as the Potato Rows or Potato Houses and were built by and for the workers at the Burmeister & Wain shipyard. Workers contributed to a fund and then had their names drawn to see who would move into the houses. 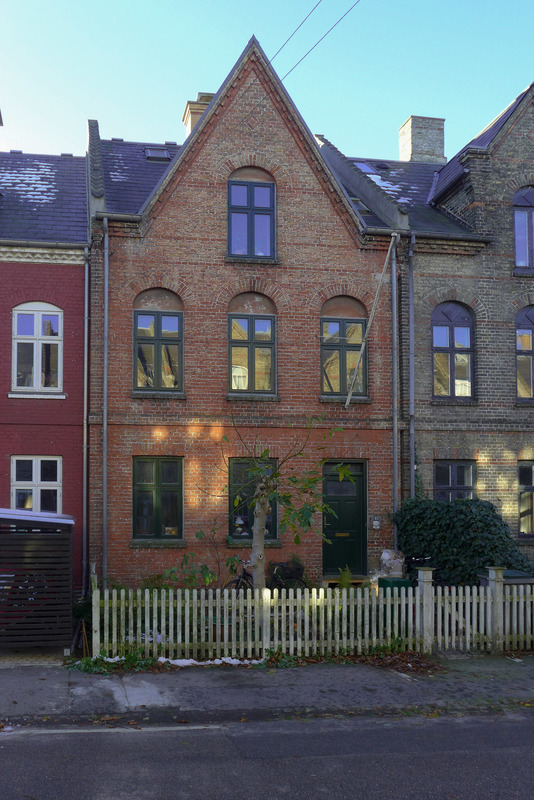 Originally the houses were subdivided into separate apartments or rooms were let out but now most are now occupied by single families. 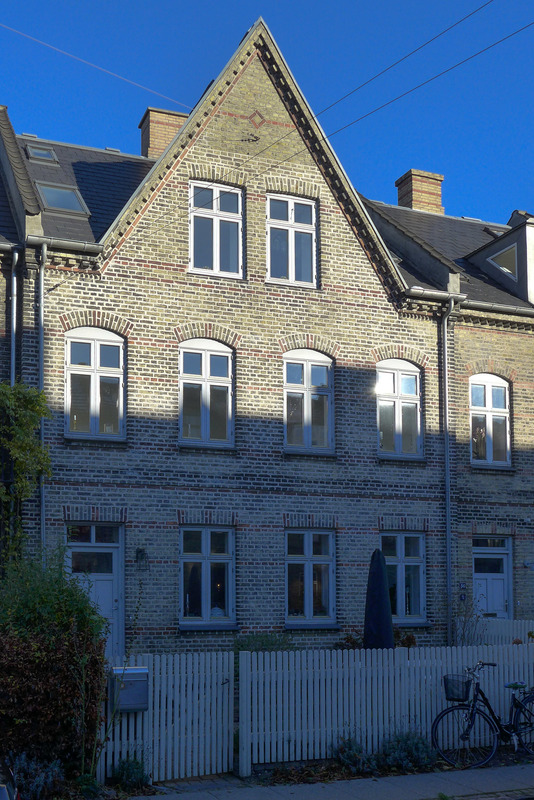 Architectural features - windows and doorways and decorative details like banding in red brick - vary slightly from row to row although they are all built in yellow brick with grey slate roofs and all two storeys high but with attic bedrooms lit by dormer windows. 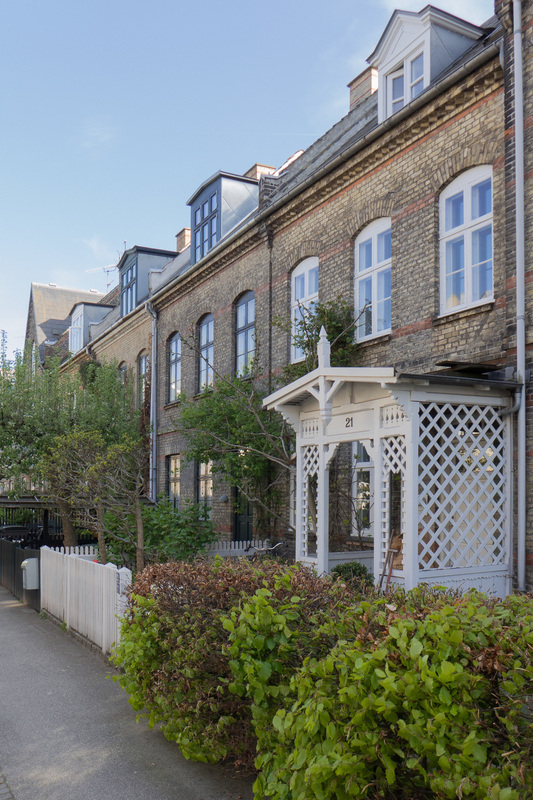 At intervals in all the rows there are high gables facing the street which create much more headroom in the attic rooms behind the gables. The houses have small front gardens and what makes them more attractive and certainly more appealing for modern families is that many have custom-built porches and balconies on the front. Several of the properties at the end of the rows furthest from the lake, onto Øster Farimagsgade, are now shops and popular cafes and bakeries.